Please visit the About page for an introduction to the blog and please visit other pages at this blog for resources and discussions or to add content to the discussion yourself! Below is the official first post! May something therein be a blessing to you! What Is the Way Forward from Here toward Developing a Writer’s Mindset While at the Same Time Being a Student of Writing? Given this blog’s purpose as explained in the About page, I’d say that reflecting on and responding to the questions/prompts below is just as good a place to start as any. At the moment, where am I in this thesis/dissertation/article journey? Where is my next destination? Do I believe I can get there? Why? My researcher motto, mantra, and identity are (or would be if I had them), the following: ___________________________________. I have ways to still give my best, even when I’m a bit in the dark on things. My strategies for this include: ____________________________. I stay at peace despite the fact that the pathway is so winding. Here’s the wisdom I’ve gleaned about that: _________________________. If you are pressed for time, then I’ll see you NEXT post. May the rest of your day be as you need, and thanks for stopping by the blog! If you have a moment to reflect on the Bird-In-Paradise flower and how that’s a perfect symbolization of our identity as blossoming fledgling researchers and thus of this blog’s title and purpose, please read on. I hope you’ll find this metaphor and concept encouraging! My reflections on this are longish, so I’ll break those thoughts up into three posts. 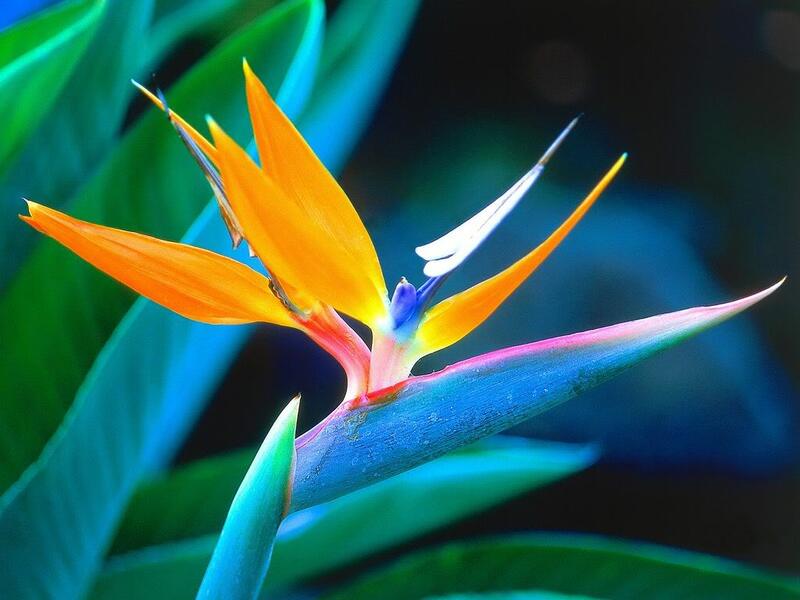 In Thinking about the Aptness of the Bird-in-Paradise Flower: It Couldn’t Be More Perfect!!! I don’t know about you, but I have seriously struggled at times trying to do this thing we call researching. I’ve been really lost and sad at times in this whole “becoming/being-a-researcher” process. I am just now viewing myself as a researcher, and I’ve been in graduate school trying to complete my thesis for a while now (my cohort will tell you!). Today and moving forward my stance is this: Not ONE MORE TIME will I beat myself up or count myself out or apologize to self or others for being a work in progress regarding this research journey. And I’m done “sitting” on helpful information that would support fellow budding researchers. I announce to the universe that YES, it’s been a SERIOUS challenge at times, but I am no longer succumbing to the “it’s-taking-me-longer-than-it-should-so-something’s-wrong” syndrome. I’m fledgling. I’m blossoming. Both at the same time. And it’s okay. Anybody out there feel me on this? Everyone who is in a similar boat, let’s take the stance, and then let’s just take a deep breath and say a big “wooo saaaa” together. Since we are NOT beating ourselves up, what are we doing instead? I’m absolutely LOVING the Bird-in-Paradise flower! Inspired I am! I’m only in a better place academic-self-efficacy-wise right now because I’m starting to experience the effects of acclimating to my discipline’s discourse. And that just simply took me a while. That process just does. The pathway is not linear, and that is a challenging thing for my math-y mind and sometimes my ego to deal with! Please check Part 2 of this post for a continuation. There is good news to all of this! It’s just a matter of stepping back and gaining perspective. And then aligning ourselves with folks who can help us regain perspective when we lose it. So what say you? Once again: (1) How do you feel about the researcher’s journey? (2) What would YOUR researcher motto, mantra, and identity be? (3) What are ways you still give it your best when you are a bit in the dark on things? (4) As a blossoming-fledgling researcher — a bird-in-paradise FLOWER, how do you maintain “residency”? Please check out Part 2 of this series of posts. Simply click the “Next” link (possibly a few times needed) at the very top of this post. See you there! . . .
Oh, Alyssa! God bless for sharing!!! I received THREE huge take-aways from what you wrote above, and I may have to modify either my mantra, my motto, or BOTH now to incorporate what you and jchen04 have so graciously shared. What you wrote speaks directly, in my opinion, to jchen04’s share of Dr. Pajares’s words to “Write fearlessly!” and “Teach fearlessly!” The quotes below from your post tell WHY we can and should, in my opinion. I can write fearlessly if I realize that I’m simply changing PART of the ‘world.’ That I can handle! I can write fearlessly if I can see research as curiosity–as poking and prying WITH A PURPOSE. If it is indeed CURIOSITY, then it can only be MINE, right, if I am producing it?!!! I’m going to let all of this — my mantra, my take-aways from your post, and jchen04’s share — marinate for a couple of days. IN THE MEANWHILE, I have got to find the perfect place at this blog to catalog your three mantras. It is neat that they came from different times in your development as a researcher. Excellent share, madame! Thank you for carving some time out of your professor-researcher-teacher-wife-woman life to touch fellow journeyers with it. . . . Fantastic! What a wonderful, WONDERFUL share. (I’m moving it to our “Key Co-Author Submissions” page) and will also feature it for a while. Dr. P: I am tearing up right now in gratitude to everything he was to you especially, but also to everyone around him. Oh, oh, OOOOOOH how I miss Dr. P., so I can ONLY IMAGINE that whole process for you. What a blessing that you came out on the other side and carry so much of his wisdom with you. It will bless. And thank you for your comments about what starting this blog is and means. I’ll take that (smile). Write FEARLESSLY. I really, really, REALLY needed to hear that right now. Teach FEARLESSLY. Yes, Dr. P.
NOTE: I am adding your blog to this site’s blogroll. Excellent stuff, Jason. Hi, future blossoming-fledgling researcher, Diana! It’s exciting to hear that you are moving in the direction of becoming a researcher. Yay! I believe that if there is a researcher inside of you, then you know it and your academic discipline is in need of your contribution to the conversation. Neat, neat, neat! And, oh, thank you for the wonderful feedback. I can’t tell you how encouraging it was for me: God has really put it on my heart to get this blog going, and I am so glad to know that the initial post was valuable in some way. It was a little lengthy, but it was heartfelt. So far one co-author has joined, and I’m following up on the other invitations I’ve sent. I know that a setup consisting of multiple contributors is what’s needed if this blog is to be successful and helpful for a wide(r) audience of future and current blossoming-fledging-researchers. So glad to have heard from you, Diana. I absolutely loved what you shared. I’m not in school but there is a researcher in me. I look forward to following this blog. Thanks. Amber’s mom.